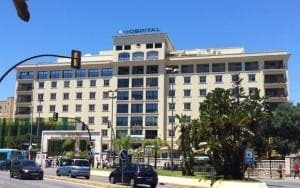 A HOLIDAYMAKER has praised a Malaga hospital that saved his life. 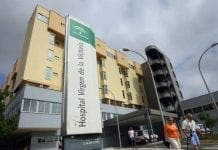 Gregory Johnston from Birmingham was rushed to the Hospital Regional Universitario Malaga after a freak fall onto a glass table cut the main artery and two nerves in his right arm. Although the accident happened in Torremolinos in 1989, engineer Johnston said he thought it was now important to give staff proper thanks after spending time reflecting on his life. “I had only been in Spain for two days when the accident happened,” said Johnston, 52. “I was rushed to the hospital and underwent an emergency operation. “When I woke up a doctor told me i was very lucky to be alive but also that I may never use my right arm again. “This was very hard for me to take in as I was only 24 years of age at the time. “But the staff, particularly two nurses called Rudy and Rosse, were fantastic. “They helped me so much and were very caring-I think about them every day.